PURPOSE: This position requires an individual with a positive team spirit, enthusiasm to integrate into a growing and highly dynamic team, and commitment to a collaborative approach in working as part of a global team. Ensure accuracy and completeness of supporting documentation, as well as help with ensuring compliance and consistency with established policies and procedures. Maintain finance files and other documentation serving as evidence of transactions at the procurement level only. Maintaining procurement, payment Logs and scanning of monthly receipts. Maintain country office inventory of equipment, furniture and supplies. Route out procurement and payment authorization emails for approval by responsible staff and Budgetholder. Coordinate with Finance & Administration Manager in managing the office lease to make sure it is current, and amendments are processed as required. Assist Finance & Administration Manager in the coordination with the local information technology contract. Provide front desk/reception and secretarial support, and assistance with routine office functions. This includes handling all incoming telephone calls, distributing mail and routing to appropriate staff for action, information or follow up. Provide logistical support for program activities, events, and workshops. Coordinate travel itineraries, airfare ticketing, hotel reservations and other travel logistics for staff, visitors and consultants. Manage the office supplies inventory for stationaries and replenishing stocks regularly. Ensure that supplies for office use are available and replenish when needed i.e. electricity tokens, water, sugar, teabags, dishwashing soaps, napkins etc. Coordinate office space and equipment maintenance and repairs as needed. Maintain updated staff directory and office calendars. Maintain Tanzania office files. Create, update and maintain a filing system for project reports, briefs, brochures and other project related documents for quick reference and easy accessibility. Other duties and tasks as assigned by the Finance & Administration Manager, providing assistance and support to other Tanzania office staff members. Strong attention to detail, accuracy and analytical skills. Demonstrated ability to perform in a dynamic and high-pressure environment. Effective verbal and written communication, organizational and prioritization skills. Excellent oral and written English and Swahili fluency required. Proficiency in other languages a plus. Commitment to international development and values-driven work environment. Ability to problem solve, prioritize and follow up (execution). -A recognized accounting/administration qualification with 1-3 years relevant work experience in international, non-profit organizations, as well as multi-office, multinational environment. -Proficiency in MS Office, specifically Outlook, Word, Excel, and internet required. Applications will be reviewed as received. This is a local hire position, and local nationals are encouraged to apply. No phone calls, please. To be considered for this position please follow application instructions. 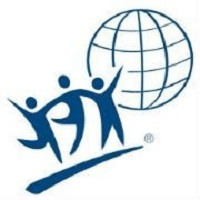 The International Youth Foundation is an Equal Opportunity Employer.